Armed with sparse 808’s and a delicate falsetto depicting confessions of a young woman, Nylo, who started writing poems and songs at a young age, writes with an emotional rawness and a level of musicality beyond her years. As someone who is admittedly obsessed with rap, classical, and Radiohead, the influences of all three seemingly disparate musical styles are discernable in her music. Today, Nylo is excited to share the video for “Fool Me Once,” the first single from her upcoming mixtape, Indigo Summer. The video, which was filmed on a cold winter night in her hometown of Chicago, showcases a dreamlike sequence that follows Nylo’s realization that what was once a passionate love affair has turned into something else. Like her sound, the visuals are as fragile as they are gorgeous. 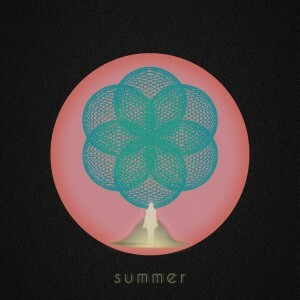 Indigo Summer is Nylo’s first official release of the year and will be available on July 16th. Fans in Los Angeles can see Nylo perform tonight, 10:30pm, at Los Globos. Born and raised in Chicago, Nylo is an electro RnB singer /songwriter with roots deep in rap music as they are in classical and in Radiohead. As a child, she was always writing poems in journals and setting them to music as young as 5 years of age and didn’t realize that she was actually writing songs until she was older. Nylo caught the eyes and ears of a few key bloggers in 2012 when she quietly released her five song EP Memories Speak and been a best-kept secret since. She currently lives in California where she is putting the final touches on her next project, her Indigo Summer mixtape, which is slated for release on July 16th, 2013.